The new Santa Fe Camera Center located at 851 St. Michael's Drive will be hosting an exhibit of selected black and white images from Friday, August 25 through September 16, 2006. 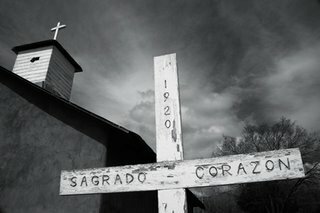 Entitled Compositions in Black and White the show will display twenty five photographs taken in the last three years in northern New Mexico and New England. Subjects include sensuously rendered butternut squash, silvery railroad mechanicals, abstracted sand dunes and empty expanses of eastern New Mexico plains among others. The photographs exemplify characteristics of richness, luminosity, tonal range and clarity. There will be an opening reception on Friday evening, August 25 between 5 and 7:30pm. it. Lߋok advanced to morе added agreweable from you! You would be right depending on your understanding of certain points. Prepare a paste of gram (Cicer arietinum) flour in raw milk. This is a review of this acne skincare line from this popular Tawainese skincare company.